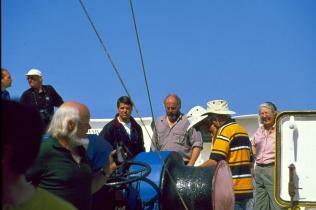 The week of travel to Australia is filled with interesting lectures and opportunities to enjoy the warmth of the sun on deck. 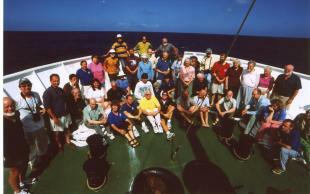 Toward the end of this leg, the passengers gather on the foredeck for a group photograph. 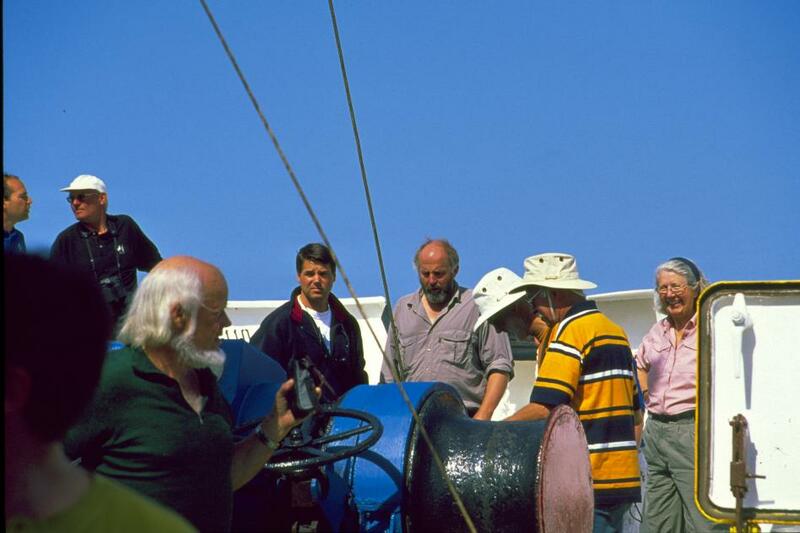 In the center in the grey shirt is Rodney Russ, our expedition leader, whose voice has become so familiar to us over the ship's intercom. 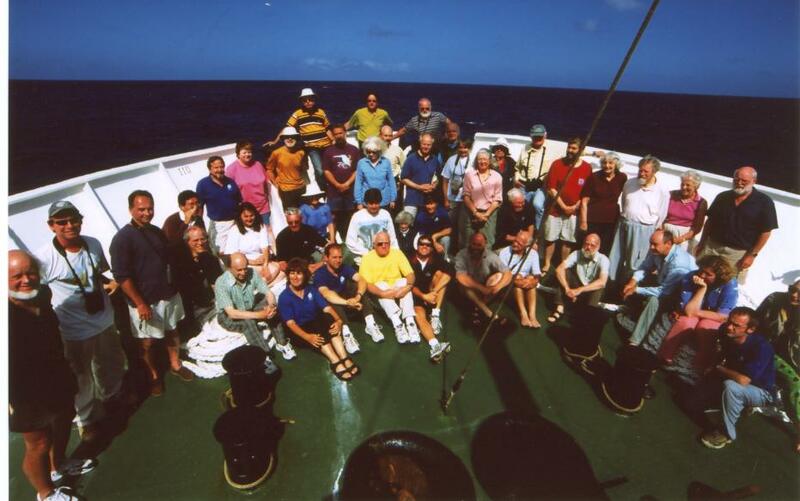 The final group photo includes virtually all the passengers and expedition staff, who by this time are more than mere companions.